Holiday.gr - Piso livadi, a trip to a myth! 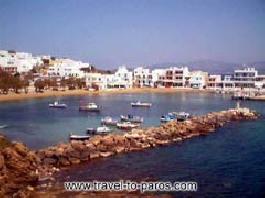 Piso Livadi, is a seaside settlement, 1km from Marpissa. It is built around a small port with many fishboats. Its quiet beach with the golden shore and the clear waters gather travelers seeking for peace and calm in a romantic environment. In the west of the settlement on a hill, is the church of Saint George dated from the 13th century. There are a lot of taverns in the village to taste the local specialties. Been to Piso livadi ? Share your experiences!